Luckily, most of us in developed countries have roofs over our heads and are not starving. Many of us have gainful employment, loved ones with whom we share time and a fair number of creature comforts. For us, our basic needs are met without much thought or effort. If I am feeling bored or depressed, perhaps my favorite alcoholic beverage, television show or video game will help. Or perhaps, I will succumb to shopping therapy. Entertainment is always a welcome distraction. Entertain me with your ads. Make me laugh or at least make me smile. Perhaps I want to prop up my sense of social status. Several automobile brands will help in this regard, as will club memberships, expensive hobbies (such as horses or sailing), a more exclusive address, a new high end kitchen, an exotic vacation, a second home on the water, a well-stocked wine cellar, all gold fixtures, designer label clothes or insignia clothing featuring elite brands. Perhaps I want to think of myself as erudite and sophisticated. Time to attend a lecture, stroll through an art gallery, join a book club, watch an obscure art film, go back to school to get a degree in an obscure subject area of interest, attend a ballet performance, read poetry or hang out at the most hip cafe in town. Maybe I just need a break and want to chill. I could take a walk through the woods, read a good book, meditate, tend to my flower garden or sip coffee at an outdoor cafe. Maybe I am craving an adrenaline rush. Time to go skydiving, hang gliding, race car driving, ski racing or some other such pursuit. Maybe I want people to notice me. It is time to wear wild clothes, die my hair pink or purple, get tattoos or get a brightly colored convertible sports car. Or maybe I will get a Segway or Vespa. Maybe I am not feeling loved. Adding a dog to my family would help or perhaps volunteering at a soup kitchen would put me in the right place. Maybe I am feeling ugly. Diet pills, anti-aging creme, a facelift, new clothes, and new hairstyle, a manicure, a pedicure or a complete makeover could help. Perhaps I am feeling rebellious. I am tired of trying to fit into my employer's or society's rules. A Harley-Davidson motorcycle might fit the bill. Perhaps I will take up smoking. Maybe tight fitting black leather clothes will do the trick. Maybe I am feeling poor. A trip to the local casino might make me feel better (but probably not). Maybe I should buy a lottery ticket. You never know. Perhaps I am having an existential crisis. What is the meaning of life? Why am I here? Does anything really matter? Does my life really matter? Time to take up a new spiritual practice or go on a spiritual pilgrimage or find a spiritual coach or spend time at an abby or an ashram. I could go on an on with examples but I want to respect your time. My point is that most brands deliver on emotional, experiential and self-expressive benefits as opposed to functional benefits. And all of these benefits start with how the person is feeling and what he or she can think of to address those feelings. Another interesting point is how our past experiences impact what brands and products we interact with to meet a particular need. Take status as an example. While a house chock-a-block with gold might be a status symbol to some people, to others it demonstrates tackiness and a lack of sophistication. And while a Corvette or a Mustang might be a status car to some people, a Mercedes-Benz, an Alpha-Romeo or a Tesla might be a more appropriate status symbol to others. 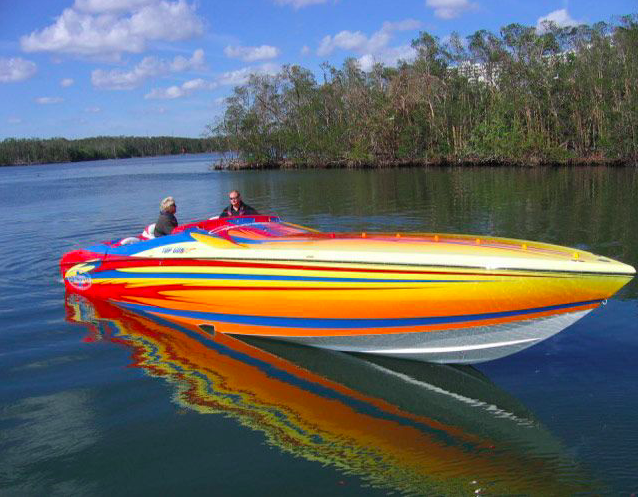 And while an expensive powerboat (for instance, a cigarette boat) might be a status symbol to some, to others it might be a sign of lowbrow tastes. A marketer needs to be constantly aware of the states of mind that their products and brands conjure up in the minds of their consumers and the underlying feelings that prompted them to interact with those products and brands.